On the third Friday each month up to 10 story-tellers will share a 5-minute true story based on the month's theme. 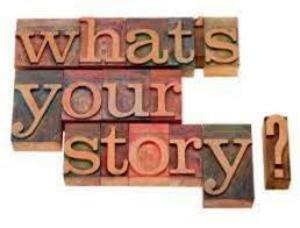 Storytelling Open Mic will take place on Friday, Sept 21, 8 -9 pm. This month the theme is Back to School. No story to share? Plan to cheer on our storytellers as part of the audience. Story Hour follows the same storytelling guidelines as The Moth, available at https://themoth.org/share-your-story/storytelling-tips-tricks. Story-tellers are asked to sign up in advance. Sign-up info and links to story-telling tips and techniques are available at here.